Bluetooth 20 years old! Who’d have thought it! I couldn’t believe my eyes, when I read in a recent trade magazine, that Bluetooth technology is 20 years old in 2018! Now I’m no technology expert but what I do know is how technology has transformed how we all work, play and engage with our friends, family and customers. 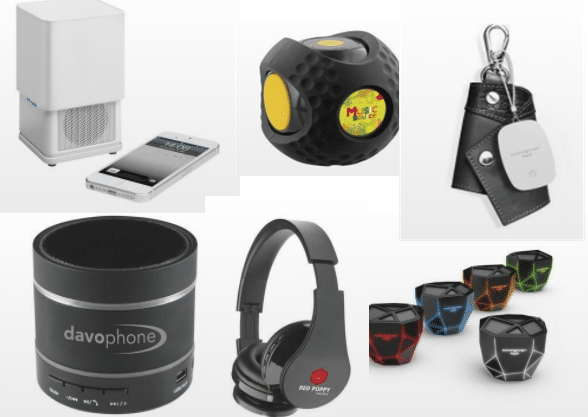 Bluetooth gadgetry has boomed and promotional items have seen an increase in the use of Bluetoooth enabled items to promote a business brand, reward customers as well as being used as incentives and giveaways that get a business noticed! Being gifted a cool set of wireless Bluetooth headphones from one of your suppliers would be great right? You’d be bound to remember them next time you had need they could fulfil for you wouldn’t you! I’m always being asked what promo item to recommend to clients, and one of the considerations is definately looking for something that offers great value, has a specific use for the recipient and is likely to be valued and therefore kept. That way your investment in the giveaway has repeat exposure with the user, and your brand stays in their “environment” and their “psychi” for longer. It makes a stronger connection with your company. Innovative products that encourage responses such as “that’s worth keeping”, and “gosh that’s useful”, could see a great return on investment in terms of an effective marketing promotional tool. Wireless audio, wearable devices, tracking assets – all continue to drive promotional marketing demand. A staggering 4 million Bluetooth devices are expected to ship in 2018 (according to trade magazine PPD, Feb 2018 edition). Ignore it and you might miss a golden opportunity for connecting with your clients and prospects! 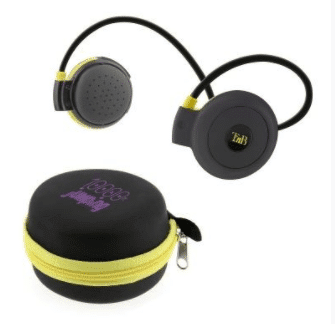 Bluetooth speakers, Bluetooth headphones, digital notepads, and more- there’s always one that would suit your logo or message and fit in with your company profile, to reach your target audience. At JUSTSO, we love exploring promotional merchandise solutions for our clients and will happily craft some ideas for you! I’m not known as the “Branding Bird” for nothing! The rest of the team are just as enthusiastic about getting your message working as hard as you do so we’d love to hear from you….. Think it, Brand it, Own it, Love it!